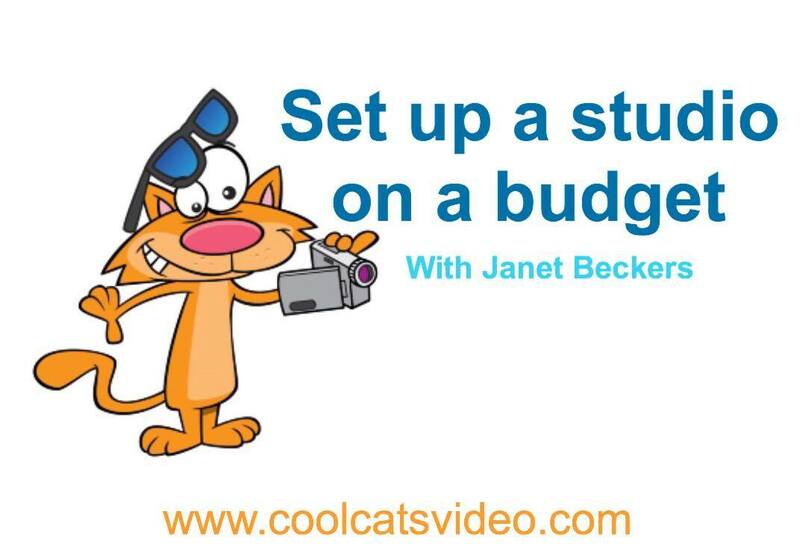 Janet takes you behind the scenes to see how she has set up her home studio with professional lighting and 2 filming settings. Expected Outcomes: At the end of this module you will know how to easily set up a home video studio on a budget and in a very small area. The video above was filmed originally as one of Janet's first Facebook LIVE videos. We've left it in this format for a few reasons: it works! Also it lets you see how you can easily re-purpose a Facebook LIVE video to create content for your clients or in other marketing. NOTE FROM JANET: At the end of the video you'll hear me talking about plastic spiders. That's because my cleaner Julie, who is also a friend on Facebook, started watching the video and I saw her name pop up. Earlier that day Julie had cleaned our home and my daughter Phoebe and I had played a joke on her, planting very realistic plastic black spiders around the house for her to discover while cleaning (I know, soooo mature). Julie is as mature as Phoebe and I and the rest of the week we felt the pay-back. Julie had re-planted the spiders throughout the house, most notably between the sheets of Phoebe's bed. Step 1: Watch the video above, taking notes. Step 3: Make it happen! Step 4: Watch the related lesson to see how I (Janet) created videos for the first 3 years, sitting cross-legged on the lounge room floor while everyone thought I had a pro-studio. There goes your last excuse! Step 5: Take a photo or video of your Home-Made Studio and share with us. If we think it's super cool we'll share it via social media, our blog and maybe even our email list. We'll include a link to your web site (yep we will promote you if you share how you have taken action with what we teach you). This is where I got my lights on eBay. If the link doesn't work the supplier may have changed their listing. Just go to eBay and search for softbox lights. This is where I got the stick-on whiteboard. You'll need 2 or 3 people, a lot of patience and a sense of humour to put it up without wrinkles. If the link doesn't work just search for "Stick on Whiteboard Sticker Soft"
To get the great lounge for just $100 I searched on Facebook for local "bag a bargain" and "trade and sell" groups. These groups have made classified ads and even garage sales obsolete. I found what I wanted within an hour and picked it up the next day. Too easy.